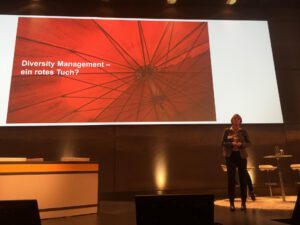 My presentations give you deeper insights into issues relevant to diversity and diversity management. I’m happy to share my personal experience and best-practice tips, combined with cutting-edge research findings and trends. Have a look and find the right talk for your company. NewWork – How much Scandinavian Leadership style can Germany tolerate?